There is a great way to reduce your tax liability, saving money, and staying on top of your financial well-being – and it isn’t by doing your own taxes. Here in Cedar City, there are plenty of professional accountants that can help you with all of the above and more. Whether you’re running a growing business, have become self-employed, or simply want accurate tax filing, it always helps to have a professional on your side. No matter how business-savvy you are, an accountant or CPA firm can often find tax savings and other financial advantages you simply aren’t aware of. Not only that, but using a professional can keep you out of trouble, reduce your risk of audit, and keep your overall financial health in check. Have a look at some of the services a professional accountant can provide to residents of Cedar City and elsewhere. A major time saving benefit to working with an accounting firm is not having to keep your own books. For business owners, this service can be extremely helpful in keeping your paperwork (and stress) at manageable levels. Knowing your payments, income, and record keeping are in good hands, you’ll be able to focus on growing your business. 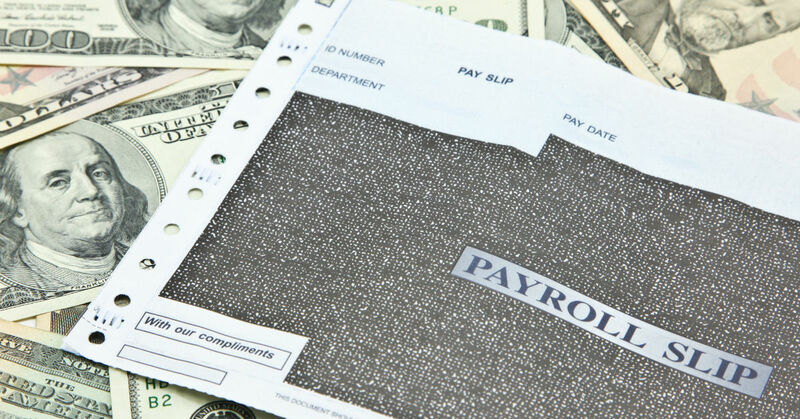 Hiring a payroll manager can be a big expense for a small company. Most often, you’ll save significant money by letting a third-party accounting professional handle this for you. You won’t have to provide salary, office space or benefits for an extra employee. No matter your situation, filing accurate income or sales and use taxes can be complicated. Let’s face it: for most of us, it’s nearly impossible to stay on top of the latest in federal, state, and local tax codes. When preparing your taxes, letting a professional handle the job is a wise choice. You’ll be sure to get as much money back as possible, and you won’t have to worry about sifting through pages and pages of legal speak. When should you begin to count income as revenue? What’s the difference? To get help with these questions and more, an accounting firm is your best bet. Accurate reporting of revenue is one of the biggest challenges of doing business, but fortunately, you don’t have to hire someone in-house to take care of it. There are great financial resources right here in Cedar City. A professional accountant or CPA can do more than keep an eye on your money. They can also provide financial advice when you’re starting a business, restructuring your company, or considering other changes. If you want to improve cash flow, avoid legal problems, and reduce your financial liabilities, you can’t go wrong with a qualified accountant. Navigating today’s financial environment can be quite an adventure – one that most of us shouldn’t face alone. No matter which services you need, it’s imperative that your advice comes from a trustworthy, experienced source. When it comes to you, your money, and the law, it’s always better to protect yourself by talking to a professional. When your business finally hits the milestone of hiring employees or contractors, nobody would blame you if you feel like celebrating. After the party, however, you’re faced with one problem: handling the payroll. While hiring extra people doesn’t necessarily create a problem with cash flow, it can present an organizational hassle. But it’s a hassle that – fortunately – can belong to someone else. So, how should you handle the newfound joy of payroll processing? The answer is up to you. However, you basically have two choices. You can hire your own payroll manager, or let a professional accountant or other service handle it for you. No matter how you choose to do it, there is some expense involved in payroll. If you hire someone in-house, you’ve got to pay their salary, plus provide benefits, office space, etc. If you decide to out-source the job, you’ll be paying them just like any other service you might use. The fact is, using a third-party payroll service – such as a professional accountant – usually costs a lot less than hiring a payroll manager. And since you won’t have to handle the task yourself, you can focus on training essential employees and growing your business even more. More complete service – When you let an accountant do your payroll, you’ll usually have access to many other related services. For example, they can usually help with things like retirement plans, reporting, W2’s and other documentation. These other services can save you even more time, and don’t usually cost much more. Greater accuracy – A professional accountant can easily stay on top of changing laws and regulations that affect payroll and tax withholdings. If you want to ensure compliance and avoid penalties, an accountant is your best bet. They understand your need to have everything done right, and have every incentive to keep their clients happy. Reduced risk – What happens when your payroll manager decides to move on? They can carry a lot of sensitive financial information right out the door with them. This can present increased risk for you and your other employees, not to mention the hassle of having to train someone else to do the job. If you use an accounting professional for payroll, this won’t be an issue. You can’t beat the convenience of using an outside accountant to handle payroll. Instead of doing it yourself or hiring an extra employee, you get worry-free and accurate processing without unnecessary expense. And that makes watching your business grow and flourish that much sweeter. Staring a business can be extremely rewarding both personally and financially. However, it can also be confusing and risky, even in a robust business environment like Southern Utah. If you want to succeed long-term, it’s usually wise to get a little help from someone with experience. This is especially true when it comes to keeping your finances in order. Most successful business owners get some good advice along the way. That doesn’t necessarily mean hiring employees, but it may mean finding a professional accountant or CPA. Accountants can clarify the regulations and financial nuances of opening a business. They can also ensure proper tax filing, track expenses and income, and basically keep you running in the black. If you aren’t sure you need an accountant or are reluctant to retain one, these five conditions could be trying to tell you that it’s time to hire a professional. You’re writing a business plan. This is where a lot of people should hire an accountant, but do not. Your business plan needs to be financially sound and realistic, based on accurate projections and proper setup. Professional accountants have financial knowledge and insights that can save you time, money, and future legal troubles. You’re making money. Though it may take a while, when you start turning a profit it could be the perfect time to hire an accountant. As a matter of fact, according to Kiplinger’s, the more money you make, the higher your chances of being audited. In fact, just owning a business increases your risk. Wouldn’t you rather have an accountant you trust before you get audited? You’re confused about structure. The way you set up your business will have big implications for your future. Should you be a sole proprietor, LC, DBA, or LLC? Speak to an accountant about your goals, worries, and tax preferences. They can help you avoid unnecessary liabilities, and enjoy the greatest tax benefits from owning a business. You feel disorganized. 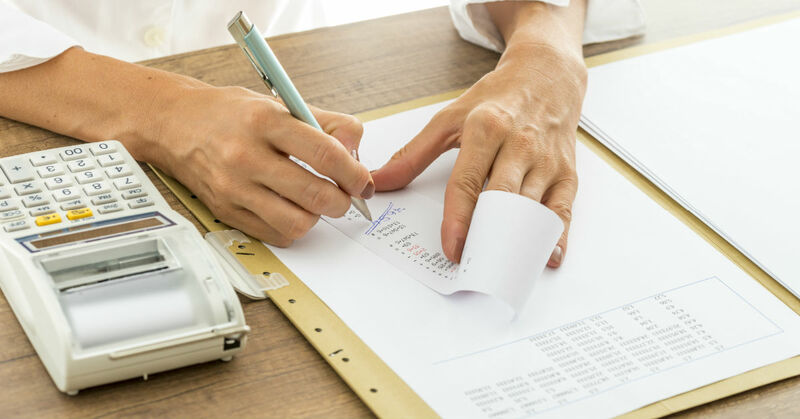 Keeping track of expenses, invoicing, financial statements, tax deductions, and more can really throw a wrench in your plans for independence. If you’re beginning to feel overwhelmed, uneasy, or ready to delegate, it’s time to get some help. An accountant can stay on top of your finances and keep you up to date on what’s going on, without you having to babysit. You need cash flow. Most startups struggle with cash flow. Perhaps you need to find the leaks in your financial planning. Maybe you’re considering a business loan or overdraft. Before taking action, speak to an accountant. They can improve financial management for better cash flow. When getting a loan, they can provide essential data and help you decide which terms and conditions are best for you. In general, any time you’re faced with decisions, experiencing growth, or have to deal with government regulations (hint: taxes), it’s best to have a professional accountant on your side. With help from an accountant, you can focus on the ideas and vision that brought you here, knowing you’re in good shape for future growth in Southern Utah and beyond. Any honest business owner wants to safely reduce their tax liability while keeping a close eye on their finances. Here in Southern Utah, there are plenty of tax services available to local businesses. If you’re a business owner or have a more complicated tax profile, you would do well to consider hiring a professional accountant to help you. While weighing your options, you might wonder about what accounting firms have to offer. You may be surprised at the variety of tax, business, and financial services you can outsource to a reliable firm. In most cases, if you need help in a particular area, there is a Southern Utah accountant ready to help you. But chances are, they can also provide services you haven’t even thought of. If your tax return is getting hairy, or you just feel better knowing it’s in capable hands, then individual tax preparation from an accounting firm is for you. You don’t have to own a business to let an accountant do your taxes, and no matter what type of return you file, you’ll be sure to reduce your liability as much as possible. Do you know how much sales tax to collect? Are you sure you’re up to speed on the latest in federal, state, and local tax codes? Letting a professional accountant take care of these for you can put your mind at ease. Accountants are a lot more than “bean counters.” They can also provide sound financial advice when you’re starting a business or considering making some changes. They can help you reduce risk, improve liquidity, and keep things running in the black. Need help with payroll but aren’t sure you need to hire another employee? Most often, using a third party service like a professional accountant to handle your payroll can save you significant money over hiring and training someone in-house. Deciding when income becomes revenue is one of the most important parts of running your business. A professional accountant can provide accurate, ethical revenue recognition to keep you out of trouble, while keeping your stress level to a minimum. Few things can put your mind at ease like trust accounting services. 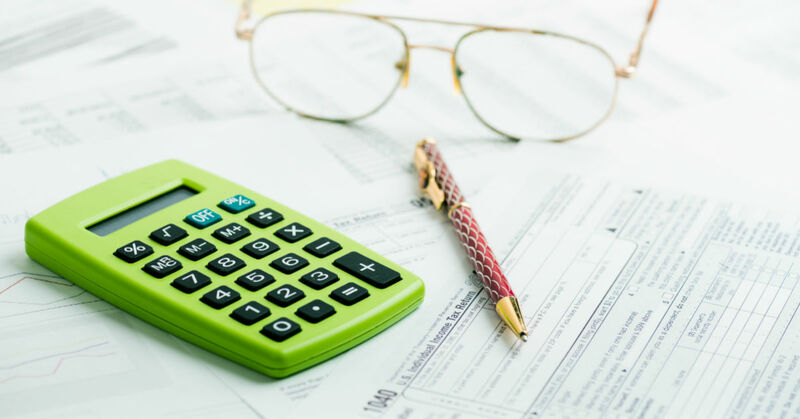 If you want to make sure your estate is handled properly and with the lowest tax liability, hiring an accountant to set everything up for you is an absolute must. The services offered by professional accountants and accounting firms in Southern Utah may vary, but finding someone you trust is the most important piece of the puzzle. No matter what your current situation, if there is any question whether you’re handling things properly, it’s imperative to have a qualified professional on your side. The United States federal tax code totals out at 74,608 pages. That’s not a typo. Imagine that — over 74,000 pages of regulations, amendments, loopholes, and legalese. Not exactly something you’d sit down and read for entertainment. Of course that number doesn’t include the Utah portion, which presumably adds a lot more. And whether you live in the capitol city or here in beautiful Southern Utah, tax return time can stress anyone out. How is anyone supposed to keep track of it all? It doesn’t matter if you’re filling as an individual, couple, or business. Navigating the tax code can be a hairy prospect for anyone. Unfortunately, it’s also something you can’t afford to get wrong. Everyone wants to minimize their tax burden. And nobody wants to face penalties, fines, or even risk legal action for not getting their taxes right. From a relatively un-complex 1040-EZ, to convoluted corporate or LLC filings, you must be aware of all the ins-and-outs of the tax code and how they may apply to you. Because tax time is no time to fly by the seat of your pants. Getting your tax return prepared and filed correctly is in your own best interest, not only because you can avoid future troubles, but also because you could lessen your financial liability NOW. And who does’t want that? Unless you’re an accountant or have training in tax preparation, filing your own tax return can be risky. The IRS employs around 90,000 people, each one paid to do their job by the letter. So you can bet that while they see their fair share of mistakes made by regular folks, they’re going to uphold the rules. The best way to avoid hot water and pay only the taxes you’re liable for is to get some professional help. CPA and accounting firms in Southern Utah and elsewhere generally employ certified tax preparers. These are the people who know what questions to ask, which forms to use, and how to use every available tool to save you money – while staying on the right side of the law. 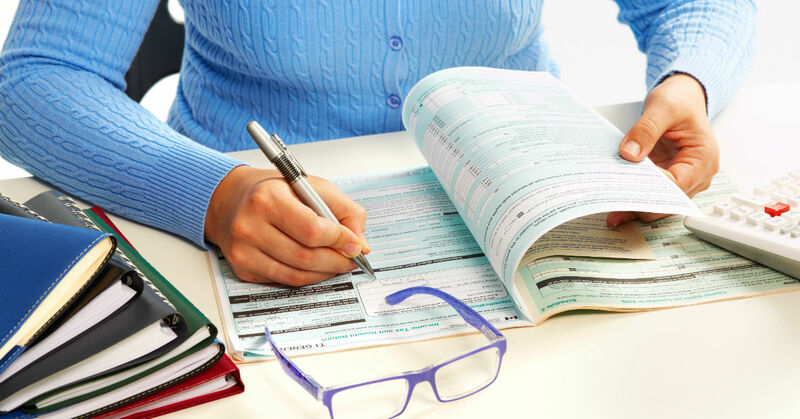 What should you look for when hiring a tax preparer? Obviously, not all of them are created equally, and you shouldn’t trust just anyone with a sign and a costume on a busy street. Here are a few things to consider. First and foremost, make sure they have a PTIN. This is a preparer tax identification number. Without it, they are not allowed to prepare tax returns for anyone but themselves. Make sure they have this before giving away any information. Other things to consider are their years of experience, whether or not they have documented ability to prepare your type of return, what their fees are, and if they offer e-filing. Also, keep in mind that local tax preparers will be the most aware of any tax code nuances and variations in your area. Filing your tax return is a pretty big deal, but it doesn’t have to cause you undue stress. Here in Southern Utah, there are many qualified tax professionals who can answer your questions and take the burden off your plate. If you aren’t 100% certain you’ll get it right, don’t hesitate to ask for help. Ask most people about the term bookkeeping, and they’ll bring up things like accounting, invoices, and expenses. While bookkeeping carries different meanings to different people, most accountants would agree that the process of bookkeeping involves what the name implies: keeping the books. Keeping the books usually means tracking and documenting financial transactions of various kinds. It may seem pretty simple, but this is a vital step to a healthy business. And it can quickly get out of hand if you let it. So, how are bookkeeping and accounting related? Are bookkeeping and account the same thing? Not really. However, accurate and up-to-date bookkeeping is the foundation of proper accounting. Think of it this way. If a bookkeeper loses track of payables, receivables, or expense transactions, the accountant will never be able to balance the books and provide accurate reporting for taxes, ROI, or any other purpose. And even in sunny Southern Utah, that’s where some unfortunate things can happen. Without good bookkeeping, your monthly and year-end accounting data can turn into a big, tangled mess. This is especially important when it comes time to file your tax return. For this reason, a lot of Southern Utah businesses and individuals choose to hire a bookkeeping service. When you’re running a business, getting some outside help can take a huge weight off of your shoulders. They know the best practices and rules to keep you organized and out of trouble. Best of all, with your bookkeeping safe in the hands of a professional, you can focus on marketing, customer service, and other concerns that make you more successful. As far as Southern Utah Bookkeeping goes, there are plenty of sources who can answer your questions or just take care of everything for you. If you feel overwhelmed or simply need some clarification, try contacting a local accounting and bookkeeping firm for help. Doing so can save you a lot of hassle and expense in the long run. With today’s ever-changing economic climate, it’s imperative to have an expert in tax planning and preparation on your side. As everyone knows, tax laws are already complicated. But to make things worse, they still undergo frequent changes that could affect the way you do business, pay taxes, and file your year-end returns. Many individuals and business owners believe they are well-equipped to handle their own tax planning and preparation. While some of them have the education and experience to handle it, the changing nature of tax codes makes it difficult to stay on top of it all. Relax — Doing their taxes is one of those things everyone dreads. At its best, it’s a tedious process – especially for businesses. At its worst, it can lead to audits, deficits, and legal nightmares. When you let the professionals handle your taxes, you know they’re done right. And that’s peace of mind. 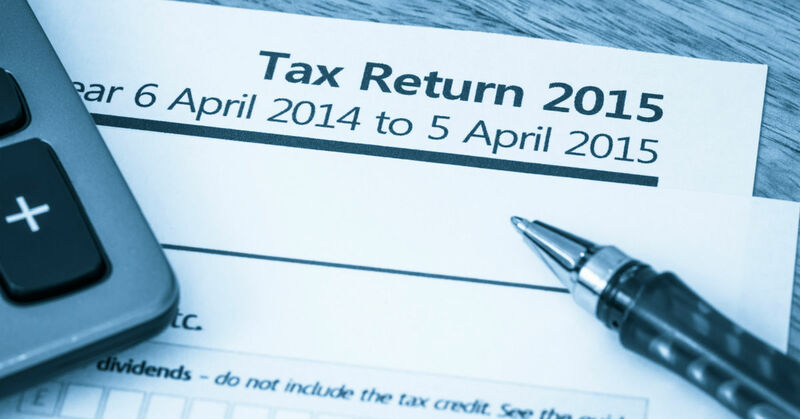 Prepare — A professional accounting firm can keep your tax liability in mind as you do business throughout the year, so you don’t face unnecessary and unpleasant surprises on April 15th. Save money — A lot of people and businesses hesitate to hire an accountant due to the expense. The truth is, it may cost less than you think to hire a qualified professional. If you’re receiving a return, many people will actually pay nothing “out of pocket” for the service. And most importantly, a certified tax preparer knows how to reduce your tax liability so you never pay more than you have to. Save time — April 15th does’t have to loom large over your psyche like a clown with a chainsaw. People who hire a tax professional simply don’t have to worry. Just provide the necessary information and let them take care of the rest. No perusing tax manuals, searching for answers online, or waiting in line at the post office. Filling your tax returns doesn’t have to cause indigestion. Hiring a professional accountant can not only take the worry off your shoulders, but could end up saving you fines, audits, and legal ramifications over the long run. It’s an investment that always pays off. When you’re running a business – especially a small one – it’s easy to believe you can handle all the back-office tasks yourself, including the bookkeeping. Starting out, you probably used something like Quickbooks or even spreadsheets to track expenses, payables, and cashflow. But is that really enough? 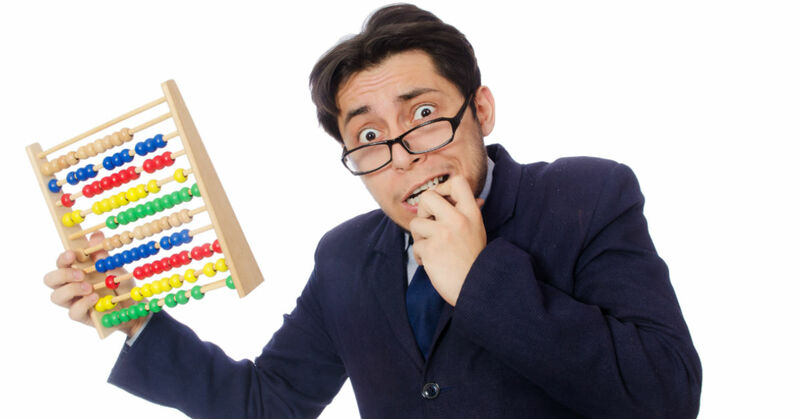 As you know, tax codes and accounting regulations can be pretty complicated. What you consider a tame kitten can quickly turn into a big, hairy, and hungry monster. Eventually, and hopefully not too late, you realize that you need some outside help. With a Southern Utah bookkeeping and accounting firm on your side, you can rest assured your financials are in good shape. And that will help you avoid future tax and accounting nightmares. When looking for the right firm, you’ll likely turn to referrals from friends, or browse the web. These are both good ways to find the help you need. However, many experts recommend looking locally first. Why? There are many reasons, but here are just a few to consider. Local regulations – As a Southern Utah business, you might run into issues that are unique to the area. Counties often have different tax rates, codes, and incentives not everyone is aware of. When you hire a firm in Southern Utah to handle your bookkeeping, tax returns, and overall financial wellness, you know they are in tune with local regulations. Convenience – A healthy business requires staying on top of your financials. When you hire an outside firm, it’s especially important to keep the lines of communication open and maintain a good relationship. All of this becomes easier when you hire a local company. You can stop by the office with questions, make a local call, and easily deliver or retrieve any necessary paperwork without having to scan and email dozens of pages. Understanding – Most local bookkeeping and accounting firms are small businesses – just like you. They understand the challenges you face, as well as the benefits of doing business here. They can help you with local networking, business growth, and referrals. Of course it goes without saying that your Southern Utah accounting and bookkeeping firm can help you with business tasks large and small; from accounts payable and balance sheets, to financial consulting, payroll, and tax returns. When you’re running a business, it’s easy to spread yourself too thin. Getting some help from a local accountant can keep your financials in check while you focus on growing your business.